Lightroom Classic Tutorials > Catalogs > Backups > Which Lightroom files do I need to back up? Whether you’re backing up Lightroom ready to move to a new computer, upgrade your operating system, or you’re just double checking your main backups, you’ll need to know which Lightroom files to include in your backups. There’s a fair number of locations, so it’s worth checking every so often that your routines are up-to-date and all the files you need in event of any issue are on your list to back up. Your catalog(s) have a *.lrcat extension. They hold all of the information about your photos, including all of the work you’ve done on the photos within Lightroom, so it’s essential that you include your catalog in your backups. But stop! You may have changed the name or location of your catalog, so open Lightroom and go to Edit menu (Windows) / Lightroom menu (Mac) and select Catalog Settings. In the General tab, it will tell you the name and location of your current catalog, and the Show button will open to that location in Explorer (Windows) / Finder (Mac). The previews are stored in the same location as the catalog. It’s a folder (Windows) / package file (Mac) with Previews.lrdata at the end of the name. If you have available backup space, backing them up would save time rebuilding them, and if you deleted your original photos accidentally, they may be the only copy left. That said, the previews would be rebuilt on demand as long as you have the original photos, and they do take up a lot of space. If you run a versioned backup system, which keeps additional copies each time a file changes, you may want to exclude the previews as they change constantly and will rapidly fill your backup hard drives. By default, Lightroom offers to back up your catalog once a week when you close Lightroom, and it keeps each of those backups. They’re stored in a Backups folder next to the catalog, but you may have changed the location. In Lightroom 6 and Lightroom Classic, the backups are zipped (compressed). To check the current location, open the Catalog Settings dialog, which you’ll find under Edit menu (Windows) / Lightroom menu (Mac), and change the Backup pop-up to When Lightroom Next Exits. Then quit Lightroom and the backup dialog will appear, where you can view and change the current location of the catalog backups. When you visit that folder using Explorer (Windows) / Finder (Mac), you’ll notice that Lightroom never deletes your older backups. You can delete older backups yourself to free additional hard drive space. I would recommend keeping at least the most recent backups, in addition to some slightly older ones (e.g., 1 month, 6 months, 1 year), just in case you later discover you’ve accidentally overwritten some settings or removed some photos from your catalog. The catalogs zip to around 10% of their original size, if you’re concerned about the amount of hard drive space consumed by backups (this happens automatically on Lightroom 6 & Classic). Of course backing up your photos is essential. Remember, the photos aren’t “in” Lightroom, but are stored as normal files on your hard drive. Make sure you back your working files up using their current folder structure, in case you ever have to restore a backup. The Make a second copy backups from the Import dialog are only a temporary backup, and since they’re stored in a completely different folder structure, they’re extremely time-consuming to attempt to restore in the case of a disaster. Don’t forget, you’ll want to include your edited files (i.e. the ones created by Edit in Photoshop or other external editors) in your backups too. If you’re not sure where you’re photos are stored, right-click on your parent folder in the Folders panel and select Show in Explorer (Windows) / Show in Finder (Mac) to take you directly to that folder. If your photos are a long list, rather than a hierarchy, you may want to use Show Parent Folder in order to more easily visualise how your folders in Lightroom relate to the folders in Explorer/Finder. You’ll also want to back up your presets, whether they’re ones you’ve downloaded or presets that you’ve created yourself. That includes Develop presets (LR1-7.2), Slideshow, Book, Print and Web templates, Metadata presets, Export presets, etc. To find them, go to Lightroom’s Preferences dialog, under the Edit menu (Windows) / Lightroom menu (Mac) and select the Presets tab. Clicking the Show Lightroom Presets Folder (LR 1-7.4) button / Show All Other Lightroom Presets button (LR 7.5+) will open an Explorer/Finder window directly to their location. If you’ve checked the Store presets with this catalog checkbox, some of your presets may be stored in a Lightroom Settings folder next to your catalog as well. Checking or unchecking that box doesn’t automatically copy them to the new location, so you may have presets in both locations. I’d recommend leaving it unchecked, unless you have a specific reason for using that feature, as it doesn’t include all settings and often creates confusion. Some settings are stored in a shared location, where they can be shared with Camera Raw hosted by Photoshop or Elements. They include your Develop Presets (LR Classic 7.3 and later), Develop default settings, lens profile default settings, custom point curves and any custom camera or lens profiles that you’ve created or downloaded. 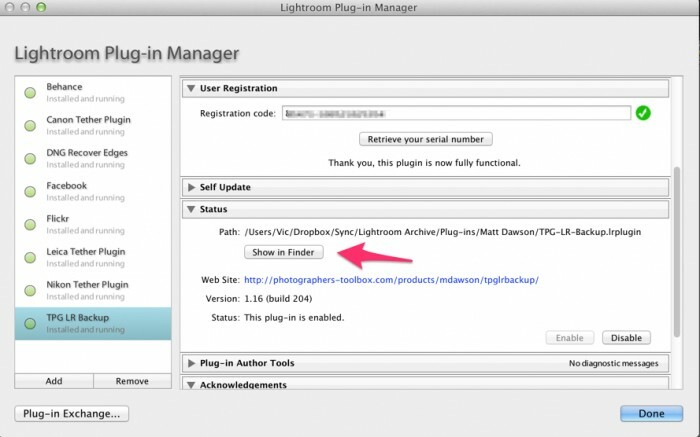 You may have downloaded Lightroom plug-ins, for example, Export plug-ins, Publish Services, custom web galleries, and so forth. You can probably download those again from the developer, but it’s worth backing them up to be on the safe side. To find them, go to File menu > Plug-in Manager and on each non-standard plug-in, check the current path, as shown below. Don’t forget to write down your serial numbers or registration codes at the same time! If you need to reinstall Lightroom and you’re not a Creative Cloud subscriber, you’ll need your serial number, and if you purchased an upgrade, you’ll also need a serial from an earlier version. As long as you registered your copy with Adobe, your older serial numbers can be accessed on Adobe’s website by selecting My Products and Services. Finally, you may want to back up your Preferences file. That includes last used catalogs, last used settings, view options, FTP settings for uploading web galleries, some plug-in settings, etc. The preferences could be rebuilt if necessary, but you would save yourself some time by backing them up and restoring them. If you’ve saved all of those files and you ever have to restore from your backups, you can simply return those files back to their correct locations, open your catalog, and carry on working as if nothing has happened. Originally posted 29 October 2013, updated for Lightroom Classic and earlier versions in 2019. Thank you for this helpful information! Question: how do I back up my “edited” file as suggested? If you’re backing up your working folder structure, it should also include all of the -Edit files. If you keep them in a separate folder structure, then just be aware they need to be backed up too. I’m just going through various posts after my mistake in deleting a subfolder from within LR6.1 and want to make sure that I fully understand the backup system. Firstly my original images are stored /backed up on a couple of external drives…..secondly when I process them, only the “changes” are stored in the LR Catalog, is this correct? So if I want to back up the finished/processed images how is this done? Silly question probably but suddenly, I am totally unsure of a couple of main points. Hi Peter. You could export the edited photos, or better still, just make sure you back up the images and the catalog. If you have to restore, you just put the photos and catalog back in the right place, and everything’s back to normal. If you’re backing up your whole computer (as I hope you are), then a Lightroom backup tool isn’t really necessary, but I know many people would appreciate an easier way to back up and restore catalogs. If I backup my files to an external drive using a windows program, will all of the edits that I make in LR and photoshop be saved on the external drive? How will the catalog on my PC record this backup? 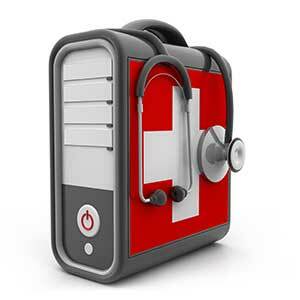 Just make sure that you include the catalog in those Windows program backups. All of your Lightroom edits are contained in the catalog, and if you had to restore your backups, you’d restore both the catalog and photos. For Photoshop edits, as long as you’re restoring the photos, then yes, the edits would be included. I am confused? Do I need to create a separate light room collection and catalog like I did in Aperture? For example, China.Icat, Thailand.icat, Europe.icat or do I put all the photo in one catalog structure like my collection.icat and import folders? No, I’d strongly recommend a single catalog Marc, dividing topics by collections or folders. Multiple catalogs gets messy fast. Thanks for the tips. I see the backup plan is no longer available as on option! Time machine will not backup full res files. What other options for 3 TB? My computer can only hold upto 250 GB. Time Machine will back up anything you like. Perhaps it’s another backup system you were thinking of? Excellent, that sounds good Mike. Just bear in mind that not all of the presets are stored with the catalog. I discovered the other day that the panel end marks aren’t included, for example. On Mac, I use a program called Hazel to do something like your backup script for a variety of different software backups. Works well. Yes, I hadn’t considered panel end marks, nor the new (customizable) splash screen image (I don’t much use either of those!). Thanks for the tip! The post is gone! I know is a few years old. Was the post moved? I believe she closed her blog. The gist of it was, you really really really must back up. Thanks for linking to my post! This post is awesome! I think I will add this to the section of my post that talks about switching computers and transferring files. Really great resource to bookmark! I write the metadata automatically into an Xmp file which is stored next to the original file. when putting the settings like this, do i really need to backup the whiole catalog? The changes to a image should be recreateable through the Xmp file? Does this make sense or do I get it wrong? Bear in mind that only a limited range of settings can be stored in XMP. Off the top of my head, you’d be missing flags, virtual copies, collection membership, Develop history, stacks, Develop module panel switches and zoomed image pan positions. If you don’t care about that information, your XMP will be fine, but a lot of people use things like flags and collections particularly. Before getting LR, I used to just drag images in dated folders to an external HD every month or so. Do I need to do something different now that I have LR? Dragging the dated folders to the external drive works, but make sure you don’t forget to back up any extra photos or Edit-in photos in the process. To manually back up everything – I assume you mean all of the photos too – try File menu > Export as Catalog and make sure you check ‘include negatives’. Dang. I started doing this shortly after I asked the question… I didn’t check “include negatives,” though. It’s about halfway through the export of 30k+ files. Now what? Let it finish, and copy the folders over to that drive too. If a disaster happened, you’d just need to use Find Missing Folder to link them up again. Watching LR under ‘exporting catalog’ as it works, it looks like it’s exporting everything (CR2s, Tiffs, resized jpegs). If I would have checked “include negatives,” what else would that be giving me? If it’s putting all of the original files on the external drive, then you did have include negatives checked. I may be slow but I don’t see a “File menu > Export as Catalog and make sure you check ‘include negatives’” option. I’m operating on Windows now and have done my backups the same as Moose, “drag images in dated folders to an external HD every month or so”. In addition, I’m considering purchasing a MAC to replace my Windows laptop so I’m researching to be sure I get the transfer correct. I’ve read your article “How to Move LR to new computer” which was great, but I still have questions that I’ll probably ask separately. Thanks for your website, it’s been a great help. It’s about half way down the File menu Sharon. It might be grey if you don’t have any photos selected. Happy to help Ron! No, there’s no difference between the 32-bit and 64-bit versions, apart from behind the scenes the 64-bit version has access to a lot more memory. Thanks so much for this information Victoria! It helped me avoid a disaster when migrating to my new MacBook Pro and converting to Yosemite. There are some minor differences with where Yosemite puts things as opposed to where Mavericks does but things seem to be working when you put logic to work. Great to hear it Alice! What differences did you notice on Yosemite? I haven’t noticed any but I haven’t looked closely. * It doesn’t include everything, as you’ve noted. It’s missing things like flags, virtual copies and collection membership, to name the most important. * It may mean your backup software wants to back up all of the TIFFs/JPEGs/PSDs/DNGs again, as they’ll have had their embedded metadata updated. That can be a problem if you run a cloud backup, and even for a local backup, every time you rewrite those backup files, you run the risk of introducing corruption to the backup, so that puts some people off. Cheers for the prompt reply! So if I only save the settings of my RAW files to xmp that would discard the second problem, right? If I store everything, the Picture Folder structure along with the Catalog files and whatever else Lightroom creates, on the same external drive then clone that drive to another external drive – would that second drive work if the first fails ? Yep, that’ll work fine. Depending on your OS, you might want to rename/reassign the drive letter if you had to switch machines, to save you relinking the missing files. Hi! Your explanations are great – helped me a lot. Thanks for your efforts. I’m rather new at this, when you refer to backup are you suggesting using backup software or copy/paste folder structures or export files from Lightroom? Your help is very much appreciated. Either software or manual copy/paste, Patty. These are the files that need to be backed up, however you choose to do so. I’d recommend backup software as there’s less room for human error. Words cannot express how much this article has helped me. Thank you so much for sharing. I have to repartition my entire PC because of software issues, so I am frantically trying to cover my bases on backups. I am following your instructions, but I am having trouble “finding” my preferences files. (Yes, I’m fairly new to this.) I’m not sure how to find or create? Also, I have made copies of all photos and catalogs on external hard drives. Is this sufficient? Any additional help would be greatly appreciated. The easiest way to find the preferences on Windows is to open Lightroom, go to Edit > Preferences and select the Presets tab. Then press the Show Lightroom Presets Folder button. If the Store Presets with This Catalog checkbox is checked (I don’t usually recommend it), then you’ll need to uncheck it and press the button again to access the rest of the preferences. As long as you’ve followed the instructions above, you’ll be fine. You are Awesome! I would have missed that and not had copies. Thank you again so much for being willing to and taking the time to help me. The only problem I encountered with reinstalling was that I not only had to give the actual LR5 serial number, but also the serial for my original version, LR3. This is apparently because my LR5 is an upgrade version. I’ve backed up my files with special backup-software (rather than the built-in backup-feature of Lightroom itself). And as you might know a program like that just compares two locations for differences and updates whichever you tell it to update. Anyway, almost every time I do a backup the program says there are .lrprev-files only on the backup-drive. Which at first worried me, but then I figured they’re probably files Lightroom itself has removed on the original drive. However, I wasn’t 100% sure if I could just throw away the ones on the backup. Cause, although it might not hurt to keep them, they both clutter up my backup-drive, and in case I have to restore from the backup they might be old files with old states that I’m not looking for anyway. Can you verify that this is what happens, or would these files perhaps still be important? I mean, again, Lightroom seems to delete them and make new ones (I guess), but that all happens in the background, so I’m not sure. .lrprev files are the previews that are contained inside the Previews.lrdata folder/file. It’s not unusual for those to be removed, replaced or updated, so I wouldn’t panic. Any missing previews could be recreated as long as you have the original files, so I don’t usually worry about backing them up myself. I will just raise a red flag however – does your backup software keep versioned backups of the catalog? If not, you might want to use LR’s catalog backup in addition. Keeping multiple older versions can save your bacon if the catalog becomes corrupted or you make a mistake. Hi there! So when I backup a catalog it does not backup the previews? So if that preview file is now absent, there is no way to recreate it? Thank you! As long as you still have the original photos, missing previews is no trouble at all. They’ll be rebuilt automatically as you browse through the photos, or you can select all and go to Library menu > Previews > Build Standard Previews to recreate them all in one go. Yep, they should be covered by the “Presets & Templates” folder. Hi Victoria, I’m using LR 6.1.1 on Windows 7 64-bit. The serial number is not there when I bring up the Sys Info screen from LR. It’s also not on the LR “Help – About” screen. Is there another place where it’s viewable? 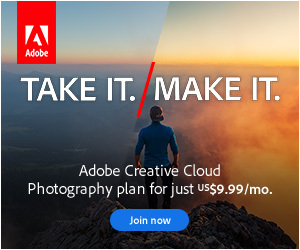 Your account on Adobe’s website is the easiest place. Hi Victoria. A very clear piece of guidance that helped me greatly. I’ve now successfully moved everything to a new computer and Lightroom (CC) doesn’t appear to have lost any of my settings etc. However, I was shocked to see when transferring my preview files to see that they were just over 130GB in size! That’s based on a catalogue of nearly 100,000 photos. I’ve now read-up on changing the catalog settings so that previews get sucessfully discarded after (in my case) 30 days. But, this has only reduced the file size by about 8GB and, as I want to keep the SSHD on my new computer as clean and free as possible, I’m beginning to think that I might need to take amore radical step and delete all the previews and allow them to build as I work with images. First: If I delete the previews file, will Lightroom just begin to build previews of everything as it would if I imported 100,000 images? Or would previews just be generated, for example, as and when I opened up into loop view in library grid? Second: If I deleted all the previews, would there be problems (other than time ‘generating’ individual images) that I’ve failed to predict? If there is no big downside to deleting the preview file, I assume that I could proceed with a strategy of deleting the file when ever I saw that it had reached a size of, say, 10-20GB? If that’s not going to cause me problems, it makes me wonder why Adobe hasn’t put in place a simple method of automatically culling the file size…..because the current method of deleting after 30 days (or whatever you want it set to) clearly doesn’t work if you have a monitor with a large resolution and are working with large image files. Hi Mike. If you delete the previews, Lightroom will generate them as you view them. The downside is the extra time it takes to view the photos. Most people would rather have viewing speed rather than hard drive space, which is why a way of culling the standard previews haven’t been a priority. Thanks Victoria. I agree. Viewing speed is my priority. I think I’ll live with the previews sitting on my C Drive for now. is there anything I can do to reinstate the mirroring of the catalogs please … I thought thats what Lr did and frankly it has done so till now. It was a larger change making new catalogs in one session. sorry Victoria I mentioned catalogs when in fact I have one catalog and many collections with now one file in Lr but not on the HDD which still shows my old many folders …. basically Lrs collections are not emulating the HDD folder setup. I wouldn’t expect to collections to mirror the folder structure, so if that’s what you’re expecting, you may need to explain more. Excellent article. I have upgraded several times with different computers and will be getting a new computer early next year. This will help immensely. My question is I have 2 500 WD external hard drives. I would like all of my pictures from these 2 external hard drives transferred to my new WD 4TB. I tried it, however when I connected the new drive to my laptop, Lightroom 5 did not recognize the new drive. Am I missing a step? Thank you so much! I am currently using an external hard drive to store my pictures instead of the internal hard drive on my Macbook Pro. Is there a way to backup my catalog upon closing LR5 to both the internal and external hard drives? Right now it looks like it’s one or the other unless I alternate manually. Where is my catolog stored? Not through Lightroom. You’d need backup software to automate that. Thank you for a great article! Very helpful. I’m backing up the catalog to my server now which is where I also store my original RAW files. Do you recommend also copying the dng files & file structure to the server? In case the laptop gets compromised. Yes, you want a copy of the entire photo folder structure to make restoration as easy as possible, in case you do have a disaster. I am such a novice at the computer and have never copied a file between my laptop and a new pc. I copied everything you mentioned onto a usb drive and then on the new pc, installed the newest version of lightroom. Now I am ready ( I think) to take the usb drive and put it on the new pc. Now what do I do? Where do I put these files that I’ve just saved to the usb drive? I am guessing that it’s important to put them where they need to be and I don’t really know where that would be!! Help??? You might find the instructions how to move to a new computer more helpful: https://www.lightroomqueen.com/how-move-lightroom-to-new-computer/ but in short, you put them in the same locations on the new computer. If you’ve stored them in the right place, they should be in the “Settings shared with Camera Raw” section. Which link are you looking at salsaguy? Although the screenshots are of the Mac version, all of the instructions (and the mentioned plug-in) work on both Windows and Mac. If you click on the links down the side, like the install instructions and user guide, it does mention both, but I agree it could be clearer. For future reference, most plug-ins work on both OS’s. I’m not certain of what you mean by “I have my catalog backed up using dropbox watched folder” and “not use the dropbox watched folder method to auto update”. Can you tell me more? Do you mean your catalog is stored in Dropbox’s folder, and therefore copied to cloud storage? I’m a bit stumped an wondered if you could help me out please? I have a mac with around 20,000 pictures on, all of which I view and edit through lightroom. I also setup lightroom on a 2nd users login, however when they access the library catalogue, the picture file blocks are there ,but there is no picture, its simply a grey box and that is the same for all pictures in all folders. The only way the 2nd user can view the actual pictures, is by going into develop mode. Do you know what might be causing the problem at all? That’ll be a permissions problem Andy, either on the Previews.lrdata file or some of the files inside. I’m not certain there’s a permanent fix for it though, other than putting the catalog and previews on a separate hard drive that doesn’t worry about ownership. Out of interest, I tried to create a completely new catalogue, as figured maybe that would fix it, however when I try to save files to the catalogue, it says I cant save files or folders there and to check permissions etc. Ive enabled sharing through it though and cant work out why it wont let me, do you know what im doing wrong or why it wont work? Yup if their LR catalog was on their normal location inside the pictures folder inside of their user name folder then they moved it out to a folder outside their isername and they didnt have permission (login password) for that location then they cant access it. if you have admin rights to look at all accounts then you can see/edit them but its riskier to have admin rights on your daily personal login. should create separate admin user for installing and doing pc gloabl things to be safe in case you get a virus to take over your machine and kill your files or get full access to all your personal data. I’ve also seen the same issue with the catalog placed in the Shared folder, FWIW. What in your opinion is the best thing for me to do at this stage? Are you able to talk me through what to do in order to share a catalogue via the computer itself, rather than using an external HDD? I’m so confused because it’s worker perfectly for the past year or so and then my son made a copy of the lrcat, so it now says copy.lrcat and it suddenly stopped working, however when I change the file name to just read lrcat and remove the copy part, it still says copy in the file path of LR? It’s easiest to post on the forum at http://www.lightroomforums.net as we can bounce screenshots and things there. Hi Victoria – thanks for this helpful post. I’m not sure what to backup for the Presets & Templates using the location C:\users\username\appdata\raoming\adobe\Lightroom – do i backup all of the folders within this location? (or select Develop presets, export presets etc). Also, I don’t have a CameraRaw folder in this location (but i do have photoshop) – can you explain this? Just back up the whole folder Melissa, as that’ll make it easy to restore if there’s a problem. There should be a CameraRaw folder there too, so no, I can’t explain why that’s missing, sorry!! I moved from windows to imac without reading all your great tips first. I now have lightroom working but all the presets I’ve made and my watermark and export settings etc is not there. I moved it from my external harddrive to the imac but don’t know how to link it to lightroom? Where do you have the presets stored now on the iMac? In a Lightroom Settings folder next to the catalog? Or in the Application Data location? Watermarks with images don’t usually move well, but everything else should. Hi there, just wondering do you know how much file space on my PC roughly 15000 photos should take up? Im very confused as my last backup in LR 5 was taking up LOADS of space (and I dont think that 15000 photos is that many) to the point where we had to reformat the whole computer to get rid of programs to accommodate for it. But ever since I had a LR representative change my backup to my F: rather than C:, its barely taking up any space at all. I’m concerned its not working properly. There are a few possibilities – you might have had loads of catalog backups, you might have been copying the original photos to the boot drive, when you meant to send them to an external drive. I shot and processed in LR4 on a laptop and stored the files on 2 (1 a backup) Lacie rugged drives 3 months while out of the country. Now that I’ve returned, I want to move the files onto my permanent drives and access the files on my desktop computer. I realized though that I am losing all my processing/settings on some 50,000 images. Is there a simple way to import the relocated files with settings onto my desktop LR4? Thanks in advance. I’m a new LR user and plan to migrate my files from Apple’s Aperture eventually. This makes my current LR catalog relatively small. However, I have installed a RAID system that is composed of two external drives, one mirroring the other. Should I also go through what seems to be a pretty complicated system discussed above to back up the LR files AGAIN? My original files are already backed up twice on other external hard drives, but none of the backed up original files have any “post-processed” work on them; they are just as they came from the camera. Also, I don’t know how to check on the second drive in the RAID system to see if it actually has anything on it. Can you make a suggestion about how to do that too? Thanks so much. I can see I will really learn a lot from your newsletters. Hi Marsha. RAID isn’t great as a backup. It can rescue you if the drive dies, but if there’s any kind of corruption or user error, that immediately gets replicated to the second drive. I’d consider a tweak to that system… rather than RAIDing the drives, I’d keep them as 2 separate volumes and use software such as Chronosync to mirror the first drive onto the second. That allows you to set a time offset (e.g. back up every 2 hours) which would give you time to spot a mistake and recover it from the backup drive, and it can also archive deleted/changed files to a separate folder, so you stand a better chance of recovering from mistakes made some time earlier too. If you’re doing that, then you can easily double check that all of the files above are also included in your backups too. Hello! I’m looking to see about a Behance plug-in for LR.. is there one available at this time? Hi, does the new LR2015.8 support having the catalogue on an external drive or NAS system, yet? Asking this die the changes of the backup change of 4mb. Thanks. Also thanks too for the informative blog/website. You’ve always been able to store the catalog on an external drive, it’s just a NAS you can’t use. I have LR 5.7 64 bit and have downloaded your ‘e’ book though have to be honest I simply find LR as one of the most unintuitive pieces of software ever, I really cannot get my head around how it works, which is so infuriating as so many of my friends prefer it to PS. As a point I use it on a PC running windows 10. I’m confused by your statement re backing up presets: “Checking or unchecking that box doesn’t automatically copy them to the new location, so you may have presets in both locations. I’d recommend leaving it unchecked, unless you have a specific reason for using that feature, as it doesn’t include all settings and often creates confusion.” Which two locations are you referring to? I’m new to Lightroom… My catalog is stored on my Mac HD and I use Time Machine to back up my whole Mac, no exclusions so does this mean that all the files I would need are automatically backed up? As long as the photos are on the Mac HD too, then yes, you should be covered. at one time in changing computers, i forgot to copy my 2013 images. they are lost forever. Lightroom, though still has the “virtual” copy of the images. His there any way to use these images when the master images are gone? Any tricks or hacks? Happily there is. The results will only be the same quality as the Lightroom previews you have, but they will at least be a copy! My friend’s house just burned down in N. Santa Rosa. Fortunately, he kept a mirror of his disc drives on a cloud (and escaped with his life). I don’t do that (yet) but I do copy all of my image files to Amazon Drive. They provide free storage space for all image files (including raw files) and a some free space for non-image files (such as sidecars) to Prime members, which I joined anyway. Oh wow, thanks for the great reminder Rob. Can anyone explain why Lightroom wouldn’t have the ability to find a missing photo file or folder? Lightroom is obviously running on a powerful computer that has full knowledge of where every file on it exists and on the contents of all its backups. How hard would it be to make it look through its file system or its backup software’s catalogs to tell you where the possible candidate files are and ask to confirm that these are correct ones. Then it could just put the file where it’s supposed to be. You could certainly put that forward as a feature request, although it still wouldn’t account for stuff you’ve renamed or drives that are offline. I export all my selected photos as full size jpegs to a OneDrive folder. However I don’t backup the original RAWs. In hindsight I could put that root folder in onedrive too, but now I don’t know if I have enough space on my hard disk.’can you move the original files – keeping the original structure? Then I could move that root folder to onedrive which would keep a constant backup of my original files. Yeah, you can move the root folder. This blog post https://www.lightroomqueen.com/move-photos-another-hard-drive-leaving-catalog/ is talking about moving to another hard drive, but the same principles apply. My photos are backed up to OneDrive automatically. When I import my photos they are stored in my OneDrive folder, my catalog is also in my OneDrive folder. As soon there are any changes to my OneDrive folder the cloud is also updated. Presently my OneDrive folder has 215,956 files and 36,753 of them are photos. Dear Victoria, thanks so much for providing this list. I think I’m fine but I will definitely double check tonight. There are some really solid improvements in Classic, so yes, I’d recommend moving to the subscription. I’m not quite sure what you mean by losing your upgradeability though? Got it! Anything you’ve done in Lightroom 5 will happily upgrade to Lightroom Classic. But once you’ve upgraded, you wouldn’t be able to open the catalog in LR5 again. 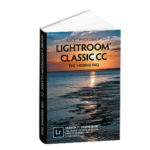 – Do you recommend for me to order LR CC 1.0 or are there reasons to better book the LR Classic CC 7.0 version? – Should I order LR via your homepage? If yes, would you be so kind and send me the link? After reading more in depth in your blog, question 1 is answered. I will order LR Classic. And I found the link on your homepage 🙂 So, no need to answer anymore. but strange it’s dated Oct 2018 which is probably when I updated to LR8. It’s 652MB in size so not trivial. I’ve just been into LR, made a change to 1 photo, and came out. No difference. If I go into the Backups folder I can see my regular (weekly) backups made by LR. Interesting if I peek in the zip files the latest one is ~645MB unzipped and 175MB zipped. But it’s dated 21 March (today is 25th) so I cannot see anywhere my recent change is saved, except perhaps in a sidecar file? Am I missing something? Thanks ….. Check the Preferences – Catalog Settings – this will confirm where the actual (used) catalog is. You should see the date / time changes to the file when you work in Lightroom. Yes LR settings say the catalog is in c:\Users\(myname)\Pictures\Lightroom. Furthermore it says it was created 16/10/18 and last backup 21/3/2019. I’m not sure what the relevance of “created” is. And I still can’t see a catalog dated today, which I’d expect. Created means what is says – and if that’s when you updated versions, then that makes sense. Hello and thank you a lot for this helpfull post. For backing up the photos, I use to export the entire cataloge on the separate disc. This way, on a new installation I may simply load that catalogue and voila! Is this procedure correct and recommended?